Welcome to this week's The Play Date Cafe color challenge. This week it's everybody's favorite - a color splash. The colors this week are black, white and a splash of emerald. I used some stickers and washi tape for my birthday card. Our sponsor this week is Viva Las Vegas Stamps. Be sure to go check out there awesome selection of stamps. 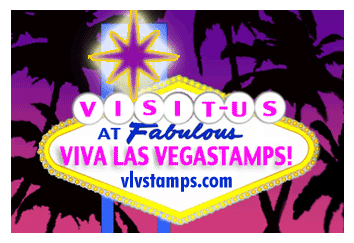 And, one lucky winner will be getting a prize from Viva Las Vegas Stamps. 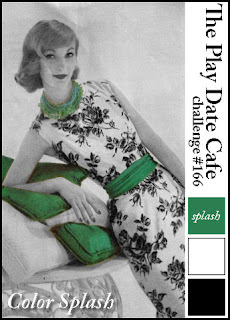 Also, we're revealing our next Private Blend Designer over at The Play Date Cafe on this week's post. Here's a hint about who she is - she says "I believe in handmade. There is a love, care, and attention in handmade that just cannot be replicated by factories." Got a clue? Go over to The Play Date Cafe blog and see who she is!! 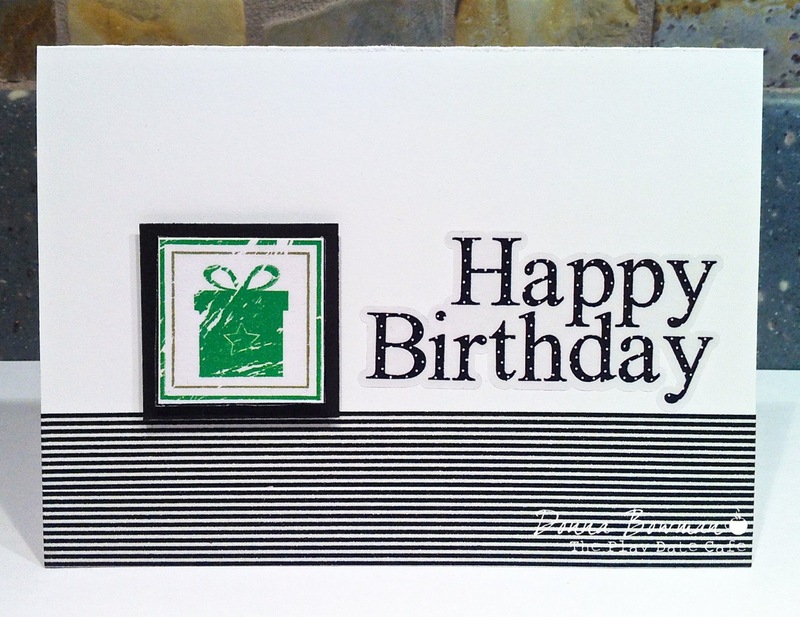 Love the crisp and clean look of your card! The washi is the perfect touch...Great CAS card!!! Perfect balance and great 'splash'! LoVe it Donna!